With the country’s economic situation forcing prices of basic commodities up including beer and public transport, it was a suicidal move to host a gig at such a time worse coming from the festive season and January back to school huddles. But the show organisers may have underestimated Baba Harare’s fans as the venue proved too small with tightly packed bodies making movement difficult. The “Guzuzu” hitmaker opened the show with two songs from his new album before guest of honor prophet Tapiwa Freddy of Goodness and Mercy Ministry took to the podium to bless the ceremony. In his speech Freddy called upon government to support artists and put in place more stringent measures to curb piracy. “I call upon government to show more support for our artists and put in place more stringent measures to curb piracy,” he said before handing over a gift of $2 000 cash to Baba Harare. Surprise artists kept the crowd entertained and first to storm the stage was Baba Harare’s close friend Peter Moyo who did renditions of his late father’s songs. He was followed by Romeo Gasa who also did not disappoint. Versatile musician Andy Muridzo followed suit and gave a good account of himself despite making headlines a few weeks ago after divorcing his wife, Mai Keketso. Zimdancehall sensation, Jah Signal also showed up with his energetic leaps and only sang two songs, “Sweety” and Mubako. 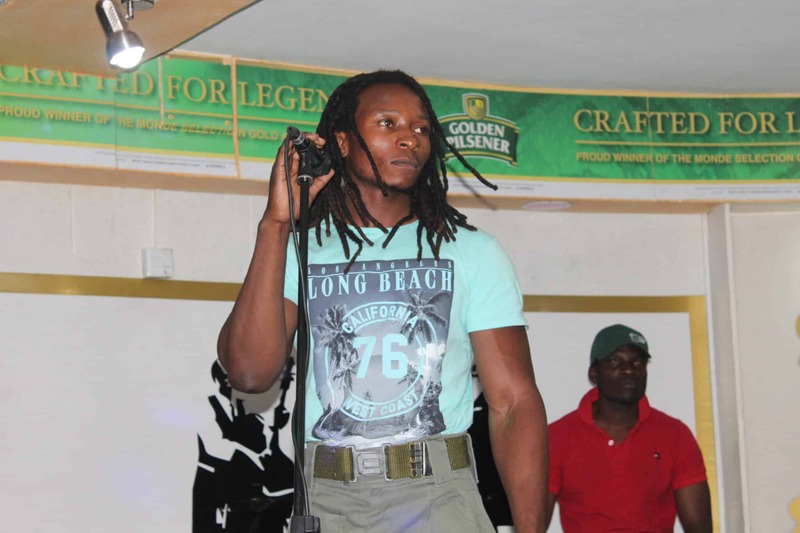 Baba Harare walked away a residential stand owner following an album auction. Of the 11 tracks on the album DJ Maselo produced five tracks, DJ Oskid four and with DJ T-Man of Mount Zion Records producing only one song.